Nestled between the Wasatch Mountains and the Great Salt Lake lies the friendly city of Centerville. Within fifteen minutes of Salt Lake City to the south and 25 minutes of Ogden to the north, Centerville offers a beautiful environment for the homeowner and a fast-growing commercial climate for the local entrepreneur. Although Centerville City is conveniently located in the middle of one of the nation’s fastest-growing regions, Centerville has retaine d a small town atmosphere and similar quality of life. 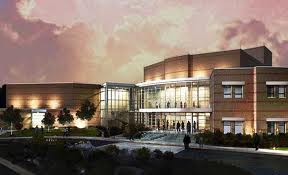 Centerville enjoys a moderate cost of living, a four-season climate, is home to the Davis Center for the Performing Arts and is located in the middle of the fabulous recreational and cultural opportunities available along the Wasatch Front. Eight major ski resorts are within a 45-minute drive of Centerville. The cultural treasures of downtown Salt Lake City, such as Ballet West, the Utah Symphony, Temple Square, and sporting events at the Energy Solutions Arena are fifteen minutes away. Centerville has excellent primary and secondary schools. Over 300 acres of parks and open space are available for individual, family and group activities. Centerville is a family-oriented community. Home and family are very important in Centerville. According to the 2010 Census, 30.5% of Centerville’s population was under the age of 18. Centerville’s median age is 33.7 and the average household size is 3.2. Centerville has its own Police Department. In addition to access to the major metropolitan areas of Salt Lake City and Ogden, Centerville is 15 minutes from the Salt Lake International Airport. Interstate 15 and the Legacy Parkway pass through the western portion of the city and are accessible from Parrish Lane. Centerville is a member of the Utah Telecommunication Open Infrastructure Agency (UTOPIA). UTOPIA is a state-of-the-art fiber-optic network with fiber-to-the premise technology for blazing fast internet speeds that can facilitate digital television, VOIP, and new emerging technologies such as real-time video conferencing telemedicine, and remote data storage and retrieval.